The cost is $1790 for DCs, $1390 for students, and $795 for recertification. 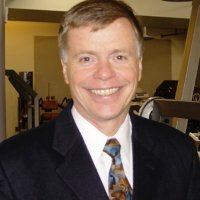 Dr. P. Michael Leahy started Active Release Techniques® over 30 years ago. ART® began when Dr. Leahy was working with elite athletes as a way to treat soft tissue disorders so they could get back to peak performance as quickly as possible. Dr. Leahy studied engineering in the Air Force before becoming a chiropractor in 1984. As he watched athletes perform, and studied their movement he realized he could combine what he knew about engineering with his chiropractic knowledge of anatomy and biomechanics to treat their soft tissue disorders quickly and get them back in their competition. In 1988 some of Dr. Leahy's chiropractor colleagues convinced him to hold a seminar to teach his method of treatment. The room they reserved for the event overflowed with doctors interested in learning this new technique, and afterward Dr. Leahy quickly began formalizing a training method for ART®. Since then, the method has been patented and over 10,000 ART® providers have been trained. ART® has treated and transformed the lives of over 100 million people worldwide. by clicking the GO TO COURSE button, calling (888) 396-2727 or going directly to the ART Web Site. Continuing education credits will be issued through Life Chiropractic College West approximately one week after the seminar. See the About section of this website for complete policies.